Our body comprises of a series of complex and interconnected systems. Because of the way our body works, a single aspect of our health can upset several other parts of the body, despite being seemingly unrelated. Take our mouth and teeth, for example. When you have poor oral hygiene, you are likely to suffer from other health issues, including diabetes and heart disease. Prevention is better than a cure; therefore by practising proper oral hygiene, you can help prevent health issues down the road. This means regular visits to your dentist, brushing and flossing and watching your diet. However, what if you’re a frequent traveller who’s always on the road, or you’ve planned a once in a lifetime of the grid experience? Here are a few tips to help you keep your teeth and gums healthy while you travel. Bring along your toothbrush or a travel toothbrush from home when you travel. If you are flying, some airlines give out mini-travel toothbrushes. Keep a couple of these in your luggage for emergencies. Some hotels also offer complimentary toothbrushes or have hygiene products available for purchase at the front desk. Depending on your location, you can purchase a toothbrush and other oral hygiene products from a local chemist or supermarket. Pack Fuzzy Brush. This innovative product is ideal for travellers. You simply chew the pod-like brush like gum and spit it out when you are done. No water or toothpaste required! Did you know that leaving your toothbrush wet inside your toiletries bag makes it a nasty breeding place for bacteria? Always air dry your toothbrush before stowing it away for your next trip. When you’ve reached your hotel, leave it out in the open to air dry as often as you can. Don’t forget to keep your toothbrush case clean. Alternatively, if you are strapped for time, use a disposable Ziplock bag to store your toothbrush. You can reduce the risk of a dental emergency when you’re away from home by visiting your dentist regularly. To make sure you don’t miss out on your check-ups, always schedule your visits on stretches of days that you know you’re not travelling. This allows sufficient time for a follow-up session in case you need further treatment before travelling. If you happen to be visiting Cheshire, UK, feel free to drop by Knutsford Dental Clinic, and we’ll take care of your dental problems while you’re away from home. When you are on the road, you might not stick to the regular oral hygiene habits you practise at home. 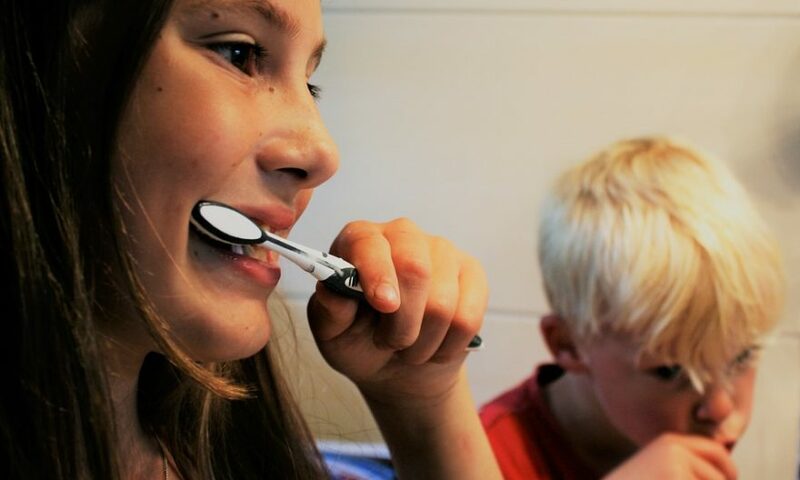 This can mean you aren’t brushing and flossing as frequently as usual, especially if you are on a cross country adventure or hiking the Amazon Rainforest. A piece of chewing gum can perform a basic clean up on your teeth, at least until you get the chance to brush them properly. Choose sugar free gum sweetened with xylitol which can stimulate saliva production to help wash away food debris. Xylitol also helps to freshen your breath because it neutralises the acids in your mouth reducing decay causing bacteria. Remember, gum is no substitute for brushing and flossing. You’ll still need to brush your teeth at least twice daily. When you are travelling to a less-developed country, chances are you instructed not to drink water straight from the tap because it is non potable. But what about brushing your teeth? Is it safe? Probably not. Bacteria found in untreated water can make you sick. Even when you brush your teeth with unclean water, you are still exposing yourself to the bacteria. So, if you don’t want to end up sick, use only bottled or boiled water to brush your teeth if the water is non potable. Whether you are travelling for work or pleasure, you tend to drink less water. If the tap water is unsafe, you probably drink even less. Most people end up choosing a refreshing and cold fizzy juice to quench their thirst. The sugar from the juice, along with extra sugary snacks we eat while on the move is a dangerous combination for not just our diet, but our teeth as well. So when you’re on the road, think twice about the impact these excess sugars can have on your long term oral health. One of the biggest mistakes that frequent travellers make is to forget to pack their floss. After all, when you’re busy moving around, who has the time to floss? Remember, you only need 30 seconds or less to floss your teeth thoroughly, so don’t give yourself an excuse to forgo flossing. To make your life a little easier, pack a small bag of dental floss picks in your pocket for convenient on-the-go flossing. Just like everything else in life, a tooth problem can happen when you least expect it. Don’t do any last minute dental treatment before you leave. Allow plenty of time for a follow up appointment after procedures like a dental crown fitting or root canal treatment. If you have no choice but to travel, consult your dentist for advice on how to protect your teeth while you are on the road. With any luck, your dentist may even know a local dentist in the area who can help you. Cover up a lost dental filling. If you lose a dental filling, you must keep the exposed area protected. Ask a local chemist if they can suggest products that can serve as a temporary dental filling. Dental wax and even a piece of sugar-free gum will work in a pinch. Repair a missing tooth crown. If a crown falls off, it can be challenging to put it back in place properly. An incorrectly placed crown can shift, affect your chewing and create other oral problems. Always clean the area thoroughly and apply a tiny dose of dental cement paste, commonly sold at chemists. To make sure it stays in place while the cement settles, bite down on your tooth gently until the tooth crown is seated. Seek treatment if you need to. If you feel lingering pain from hot or cold foods or if you see swelling around your gums, it’s likely you’re experiencing a root canal problem. Ask your hotel front desk or concierge to help you seek out a dentist as soon as you can. Keep good oral hygiene. It is vital you follow a good oral hygiene routine while you travel. It reduces the risk of a dental emergency when you are travelling. Established in July 2018, Superior Smiles is a new Knutsford dental clinic in Cheshire with extensive experience we offer wide range of dental treatments for all ages.